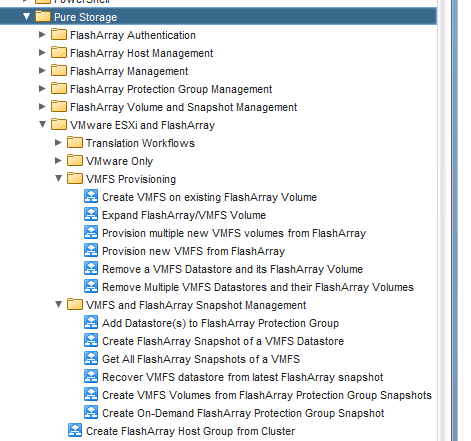 Over the past few weeks, I have been working on writing a vRealize Orchestrator workflow package for Virtual Volumes and the FlashArray. While that is not quite ready to go out, I think some basics for starting to use vRO and VVols are worth noting. Core vCenter SDK–this is what you use to create VMs, datastores, etc. SMS–this is the service that manages storage providers (VASA) and replication for VVols. PBM–this is the service that you use for storage policy based features. This is a blog I have been waiting a long time to write. 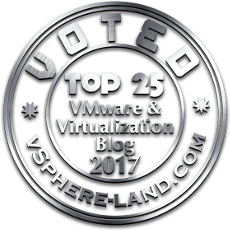 The past year and a half of my work has heavily focused on improving and building our VMware vRealize integration at Pure Storage. Log Insight and Operations Manager integration already existed (analytics etc. 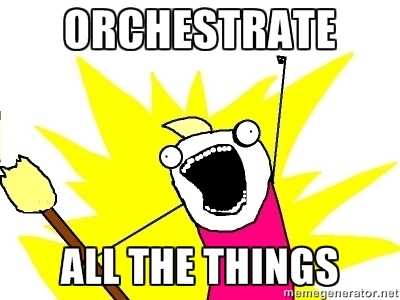 ), so the next logical step is actually provisioning (orchestration). 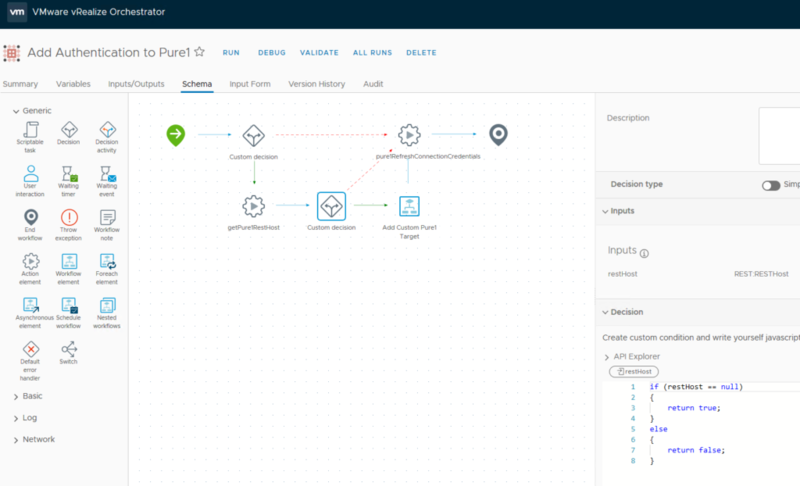 So vRealize Orchestrator and Automation. 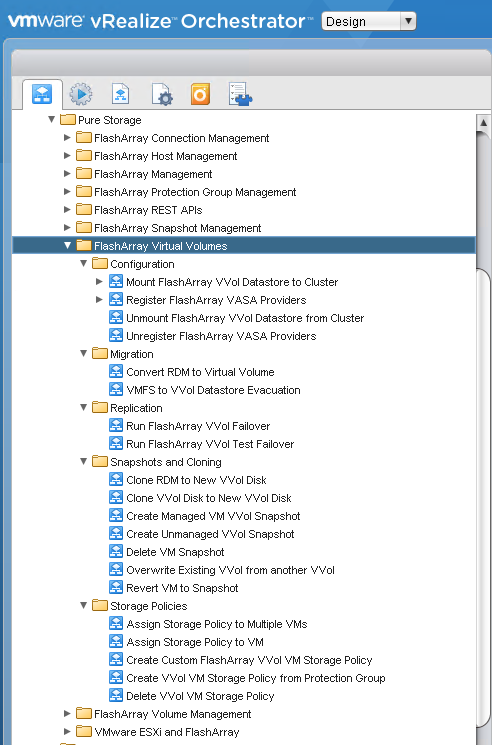 The first step I took was using the built-in REST plugin in vRO to build a workflow package that customers could use to actually manage the FlashArray without much work on their own part inside of vRO. As I have blogged about before, TLS 1.0 and SSL v3 were deprecated in Purity 4.7, requiring all connections to use either TLS 1.1 or TLS 1.2. This affected a variety of integrations, some we updated, some you just had to alter their behavior. A few VMware products do not/did not use TLS 1.1/1.2 by default, so they either need to altered or upgraded. This almost invariably boiled down to the JDK version that was in use. 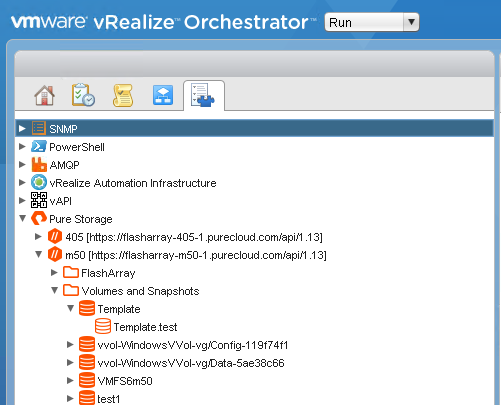 vRealize Orchestrator is no exception. UPDATE: This is a older post, but after working with vRO for longer and learning a lot more about it I decided I needed to re-write this post. Too much of it was not the best way to do things.